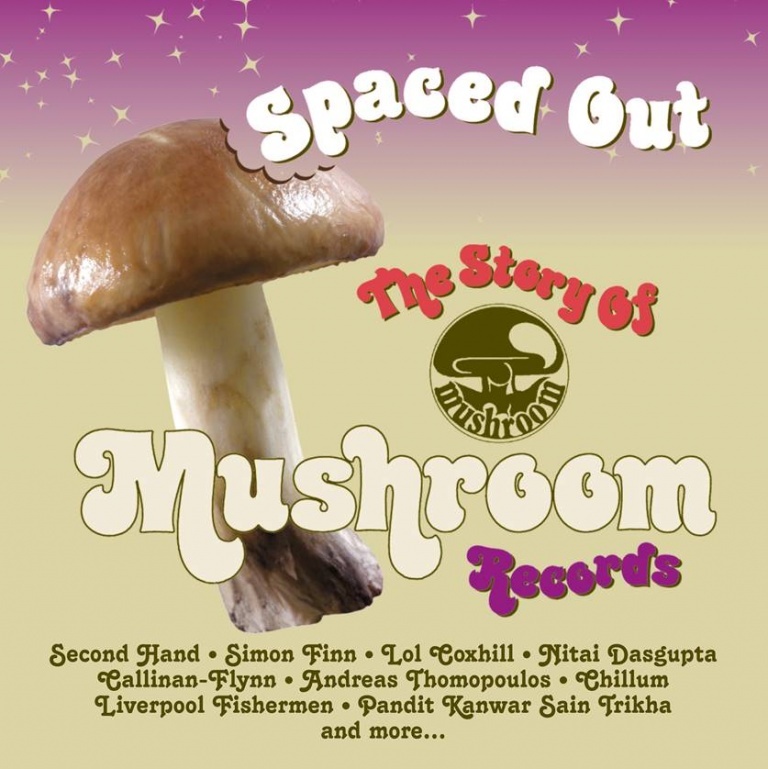 SPACED OUT is the first-ever compilation to tell the story of Mushroom Records from its roots in the psychedelic era and its evolution across the early 1970s. With a foreword and involvement from label boss Vic Keary, this double-CD set reveals how Mushroom epitomised the excitement and diversity of the progressive era. MUSHROOM RECORDS was founded in London’s Chalk Farm district in 1970 by producer Vic Keary, an experienced industry veteran who’d spent most of the 1960s working as Maximum Sound Productions. Over the course of three years, Mushroom issued a dizzying variety of records, embracing a broad range of music styles from Prog Rock (Second Hand, Chillum) to Singer-Songwriters (Simon Finn, Andreas Thomopoulos), Traditional Folk (Callinan-Flynn, The Liverpool Fishermen), Indian music (Pandit Kanwar Sain Trikha, Nitai Dasgupta), avant garde jazz (Lol Coxhill) and world music (Les Flambeaux). And in Magic Carpet, Mushroom hosted a group who reflected most of the above genres on one album. SPACED OUT is the first-ever compilation to tell the story of Mushroom from its roots in the psychedelic era and its evolution across the early 1970s. With a foreword and involvement from label boss Vic Keary, this double-CD set reveals how Mushroom epitomised the excitement and diversity of the progressive era. While Disc 1 offers a cross-section of Mushroom’s eclectic output, the second CD dips back into Mushroom’s pre-history with an exhaustive mix of music overseen by Maximum Productions. From Swinging London tunes by Tuesday’s Children to Mod classics from The Attraction, Psychedelia from future Mushroom act Second Hand, as well as Felius Andromeda and Denis Couldry, funky soul from Mel Turner, several Femme Pop rarities (Angelina, The New Faces, The Carolines) and post-Mushroom curios from the likes of Andromeda, this is the ultimate tribute to this cult British label. Artwork comes courtesy of noted designer Phil Smee, whose impressive collection of Mushroom Records ephemera is reproduced in the booklet. And the sleeve-notes by Grapefruit’s own David Wells finally tell the story of this hitherto undocumented chapter from the underground scene.